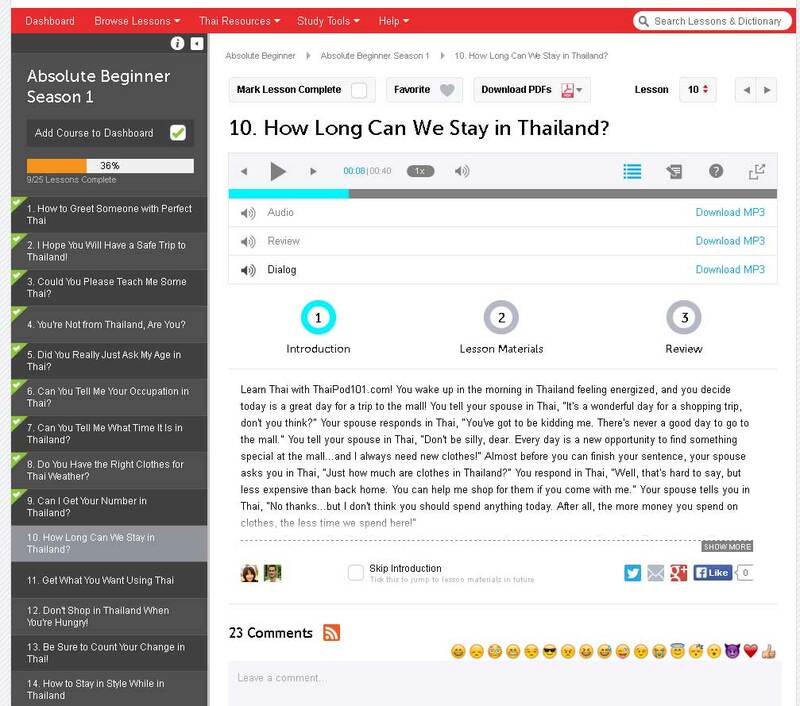 Thai Pod 101 is on of my favorite online courses for learning the Thai Language. 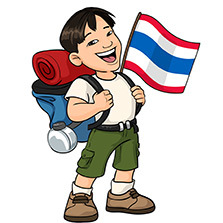 From beginner to advanced it will surely help your progression in understanding Thai. Perhaps you are just looking for a few basic sentences for an upcoming vacation or if you are planning on staying in Thailand long term. This course can help you in so many ways. Sure you can get by in Thailand without the language but having some knowledge can make the experience of being in Thailand so much more enjoyable. 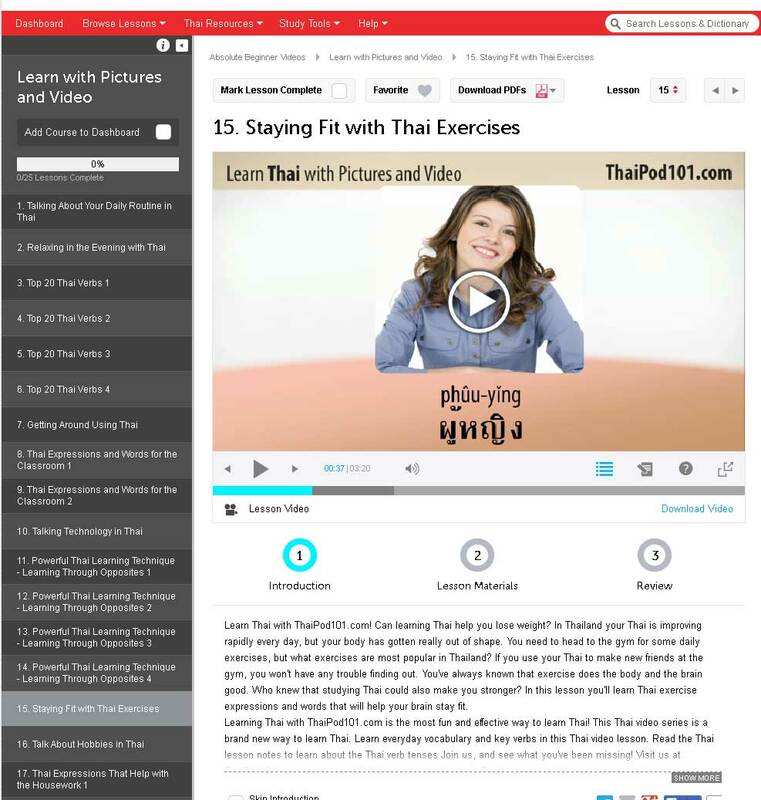 Thai Pod 101 program offers you several different formats in which can help you learn the Thai Language. The course is offered online via video, audio and PDF files or you have the option to listen to the course via Podcast. Everything is downloadable to your computer for easy access and the ability to work offline if you have no Internet. There are also apps for Andriod and iPhone that you can download and access the course straight from your smart device. You can study at your leisure and the speed of which you progress is totally up to you. Even if you happen to be going to school in Thailand the course can certainly strengthen your knowledge and make you progress faster. In fact many foreigners often take a course just like this just so they do not have to go to a classroom in Thailand. 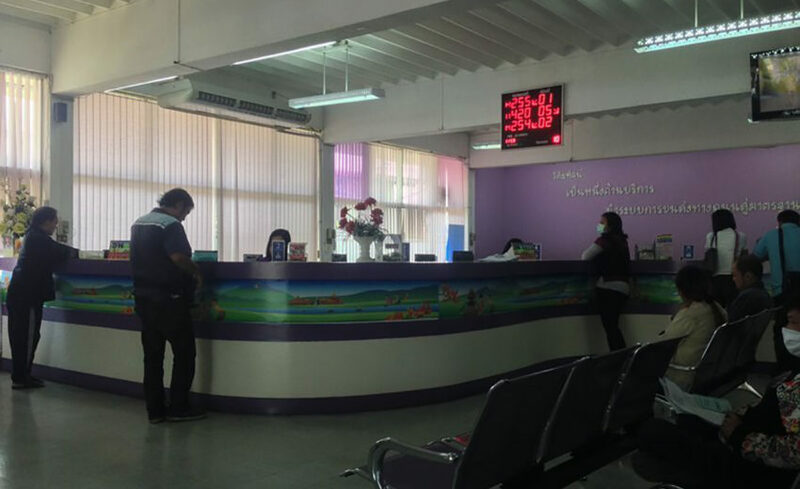 The language centers in Thailand can be hit or miss when it comes to quality. Often everyone in the classroom is at different level. Since Thai is a tonal language you have a wide variation of accents which can really make learning difficult. I have often found the teachers also get used to what I call “Foreign Thai” which means the teachers understand your bad pronunciation but when you go into the real world the Thai people might have no idea what you are talking about. The audio speakers are both Thai and Foreign and really try to focus on actual life situations. Stressing on grammar, pronunciation and listening skills that will help your understanding. Each audio session has a downloadable lesson plan where the examples are in Thai, English and Phonetics to help you sound out the words. There are often small quizzes that are included that you can do to test your skills and the ability to add words to a word bank database that you can study later. Also, you can track your overall progression and move up levels when your skills get better. Joining the site is actually initially free. You get access to a number of free lessons to see if you enjoy the format and want to continue with one of the more premium packages. There are three packages including Basic, Premium and Premium Plus. Each package offers something different such as the access to the tutor in the plus version. 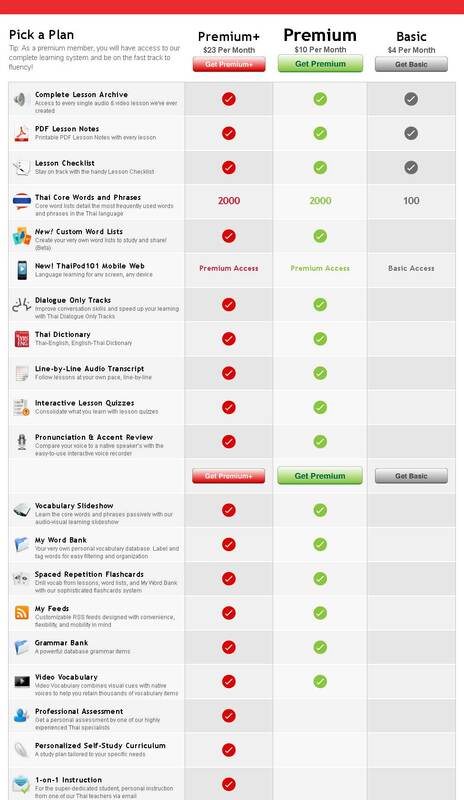 Even if you purchase one of the basic packages you can upgrade later and only pay the difference between versions. Buying packages can be month to month but if you pay for longer term packages than you get a cheaper overall deal. For example you could spend 25 Dollars per month for a premium or you can buy a two year subscription and that price point would drop to 10 dollars a month. All depends on what works best for you. If you have the money and you think you will be studying for a while then of course paying a larger sum up front will save you money overall down the road. When you decide to join up and login, you are presented with a dashboard that is broken up into 5 sections including absolute beginner, beginner, intermediate, advanced and News And Announcements. Each lesson has a series of courses that you can favorite for easy access, download, listen and even click a checkbox stating that this course is finished. Another feature is the word bank option. Select words and save them to a database for easy access later. Especially those words you think will be useful for your day to day conversations. There is even more with a Thai English Online Dictionary, Word Of The Day sent to your email if you enable and flash cards that help you memorize and sound out new words. As I said above you can download the courses to your smart device so you can be out and about and listen to the courses anywhere. 3. Dialogue – Once again the same lesson but this time no English at all. If you can understand this section without the English notes you are well on your way. 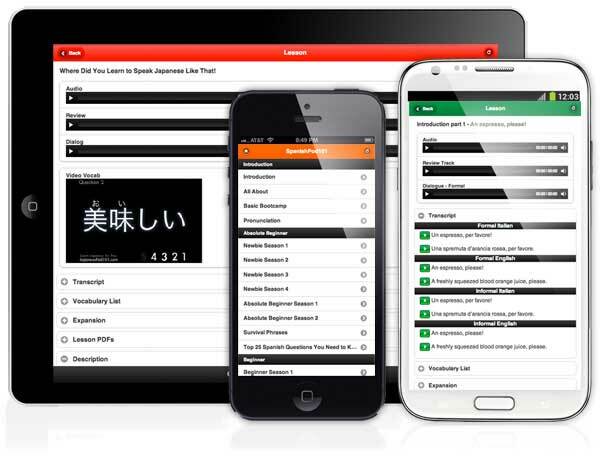 Each lesson also has a comment section where you can ask questions about the lessons. It may take a day or two for a response but even the basic package you can expect an answer. Notifications can be set up to send to your email if a response arrives. Of course you could also talk to your private tutor if you decided on the premium plus package. This teacher will usually get back to you in a few hours, just don’t expect an answer during the times that the Thai people are normally asleep. The Beginning Of Every Single Audio Lesson Starts Out With The Same Introduction Of The Two Speakers. It Can Get Quite Tiresome Hearing This Introduction Over And Over As You Proceed Through The Lessons. Thai Pod 101 Plans That Are Available (not shown Free Version) Prices Often Change Promotions Etc.. I personally think for online courses for learning the Thai Language Thai Pod 101 is one of the best. It will take a few minutes of navigating the dashboard but once you got that down you can certainly start learning the language. The course offers a stress free environment where you can learn at your own pace and you do not have to worry about keeping up with your classmates. Learn in the privacy of your own home or while you are at the gym working out, the choice is yours. There are so many options available to view and listen to the course. 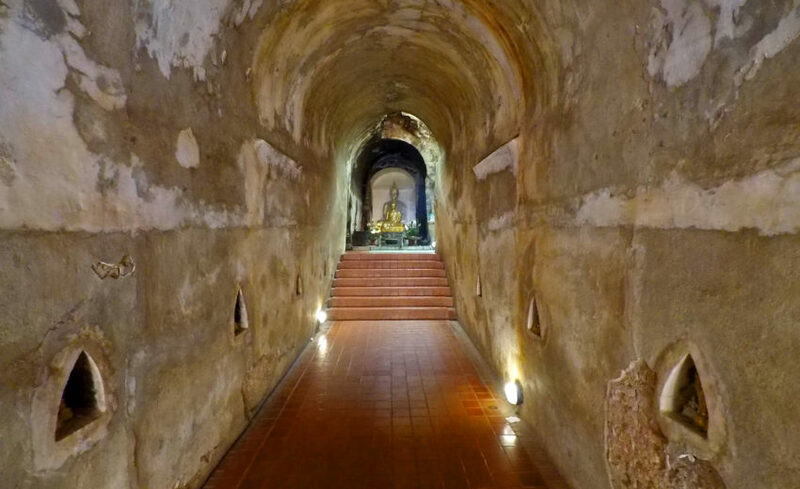 I hope you enjoyed this overview of Thai Pod 101 and if you have any questions at all please feel free to add a comment and I will get back to you as soon as you can. I am not just a reviewer of this program but also a member and use the course quite often to help strengthen my own language skills.